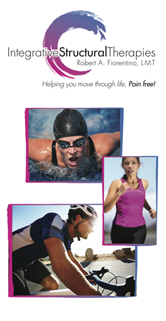 Helping you move through life, Pain free! “As the owner of a successful wellness business, I have been helping clients achieve their personal fitness goals for many years. I believe a critical part of sustaining long-term health is the ability to remain pain-free, allowing for on-going activity. I have been a runner for over 20 years, so I know first-hand how difficult it is when you are sidelined by pain.